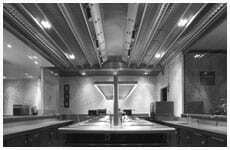 Vianen B.V. was founded in 1979 in Woerden, Holland to design and manufacture kitchen ventilation systems for institutional and commercial kitchens. By responding to customer requirements and a continued product development, sales continued to boom and a significant growth was realized. The company was relocated to a newly built factory of 600m2 which has now expanded to the present 5000m2. When utilized as a single source for design assistance and evaluation through fabrication and final installation Vianen inevitably provides a totally integrated system that assures the end-users efficiency, cost savings, high performance and long service life. Vianen works closely with facility owners and mechanical contractors. The end result is a custom-designed system for optimal performance. 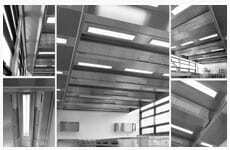 Vianen has a wide range of standard canopies and ceiling ventilation systems. Regardless of the application Vianen can custom design a complete ventilation system to handle any kitchen requirements for professional kitchens such as hotels, military bases, hospitals, schools, prisons, institutions and restaurants. From low-cost to inbuilt fire-protection systems providing superior grease extraction and safety. Vianen exports its products world wide through a network of agents and has licensing agreements with manufacturing partners including Vianen Australia, a member of the Frost Group of Companies. Advanced materials, improved designs and new manufacturing techniques deliver better-than-ever products and Vianen has successfully incorporated these new developments into the company. Vianen has successfully built itself a sound reputation based on competent workmanship, quality, reliability and good management. 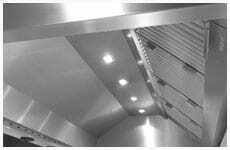 Vianen manufactures canopies in seamless lengths of six meters stainless steel 304 DIN 4301. To complete the extensive range Vianen manufactures its own lighting fixtures and high efficiency Fecon grease extraction filters. Vianen is responsible for the planning, decision making and installation, backed-up by a fully equipped factory and qualified personnel to deliver and install its wide range of products. To provide competent assistance in the application, programming and the operation of our installations, our designs are produced to meet the most specific requirements with the aid of our modern CAD system. Vianen has an in-house test facility at the factory and thus establishes the efficiency of our design configurations prior to installation. Vianen extends a warm welcome to customers to visit the test facility. Vianen has a professional and experienced technical sales force who know their company, know their products and most importantly, know and understand their customers needs. Vianen assures the customer of a prompt, personal response and a competitive quotation.